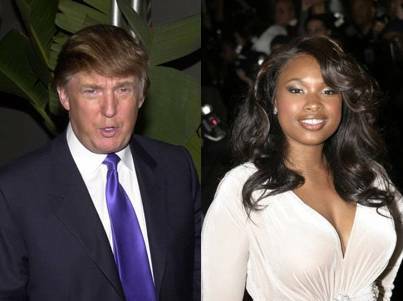 Donald Trump Loves Jennifer Hudson, Gives Family Shelter. Donald Trump actually has a heart and cares about others. Who knew? The infamous tycoon, who seemingly never smiles and hates everyone, has offered Jennifer Hudson and her family a free place to stay in his Trump International Hotel & Tower in Chicago while they cope with their recent tragedy. I’m not what one would call a fan of Donald Trump’s – although I love “The Apprentice” – and I don’t exactly trust his intentions, but in this particular case, I think he is coming from a place of genuine empathy and caring. Hudson family tragedy update from TMZ….. The parole hearing for William Balfour, the main suspect in the Hudson family killings has ended, and he will remain in jail at least until December. We’re told the key evidence against Balfour came from a former girlfriend, who said she saw him with a gun that appeared to match the murder weapon. He will have another hearing on December 3. The parole board did not make its decision because of the murders, although it’s curious why it mentioned the weapon. The board also said it made its decision because he was in a place where drugs were sold. Balfour has been in custody since October 24.
previous post: Brian Epstein Met The Beatles Today.